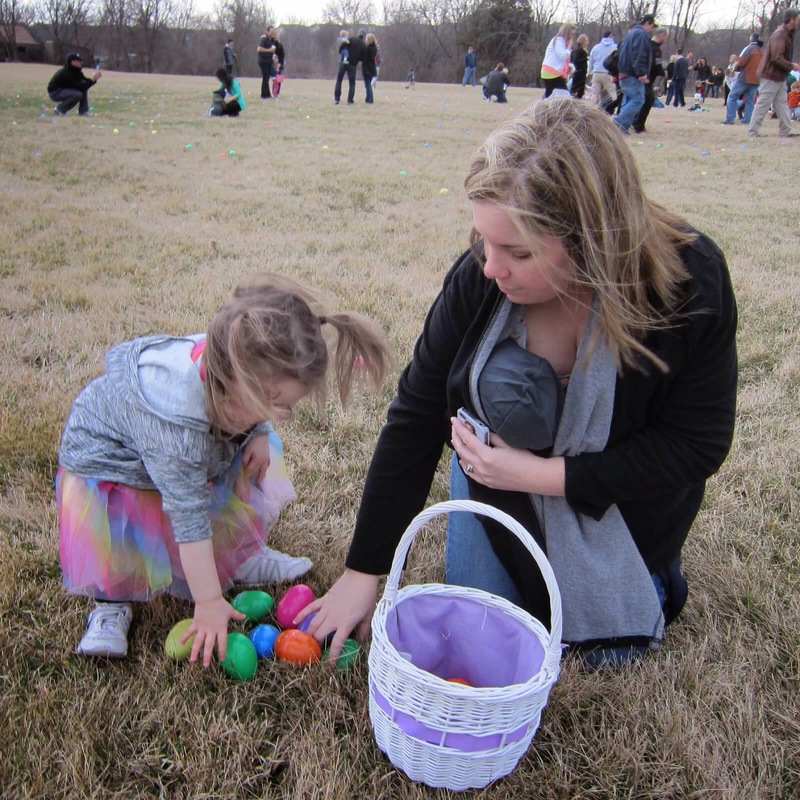 Here I am helping my toddler with an Easter egg hunt this past April. My newborn (less than 2 months old) was tucked in via a soft ring sling. He was so little people barely noticed but he was safe and warm. I began wearing to have my hands free to help my big girl.